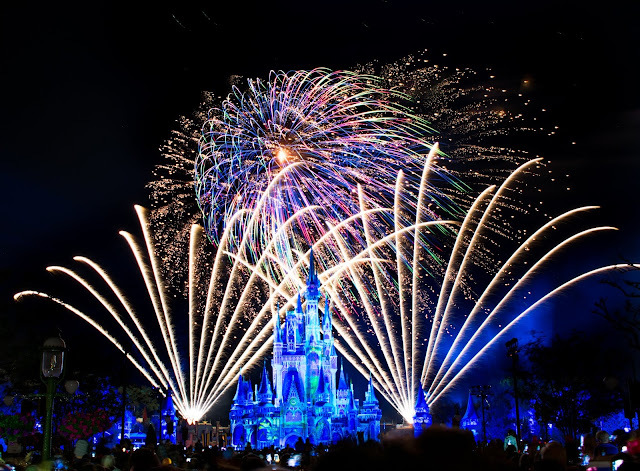 Walt Disney World Itineraries are a great way to uncover aspects of the parks and resorts that you may have never thought about attempting or exploring during your Walt Disney World vacation. I started developing itineraries for the parks about a year ago and based a vast majority of the information on stays that we had faced recently and information we had gathered over the years. In doing so and from personal experience, I tend to suggest that a 6 or 7 day Disney World vacation is the sweet spot for touring the parks. I used to suggest a 5 day trip, and that probably still is the most cost effective and realistic option, but with new openings in the parks it really does help to have that extra day or two to revisit and explore in greater depth your favorite aspects of your vacation. That last day or two can make all the difference and really give that extra cushion of time to enjoy your resort, head to the pool or a waterpark, or even revisit some of your favorite attractions before returning home. Do you want to use an itinerary at Disney? Honestly, I'm a firm believer in the fact that a spontaneous day at Walt Disney World can be absolutely incredible because you never know what to expect. However, at the same time, there's a certain level of planning that Disney World in particular has essentially required of guests that didn't used to be a part of the travel planning process. Today, when you visit Disney it's somewhat of a multi-phase process. You book your reservation months in advance, set up your fastpasses 60 days out, and a majority of guests will book their dining reservations 60-180 days out from their travel dates. While some of this is optional, with the Magic Band system and Fastpass+ it is quite a bit harder to book a trip without any sort of formal plan for your stay. That's where we come in! There is no "one stop shop" Disney World Itinerary and truth be told there's no tried and true perfect plan for every guest but that's a good thing! As we set out these plans of touring the parks, it allows for a certain level of manipulation. For example, maybe we list Magic Kingdom for day one of a 7 day trip. We list that particular day for a reason, but if it doesn't fit how you want to travel, you can manipulate and change the plan for what works best for you. Consider these itineraries as vacation itinerary outlines that can be changed and manipulated but are, at the same time, tried and proven ways to successfully tour the parks and make the most of your vacation. More than anything, I hope these plans give you something new to try during your trip or offer up a different scenario the you may want to try for yourself one day. If you've never been to the parks, print off one of these itineraries (they should be relatively printer friendly) and fill in your must do attractions in the margins, and you should be well on your way to your first Walt Disney World vacation. If you want some more personalized help, feel free to email me (as always - I'm not a travel agent but happy to help where I can at no charge - guide4wdw@gmail.com) or contact our recommended authorized Disney travel planner (also at no charge). Long story made short, itineraries aren't for everyone and sticking to a schedule isn't for everyone, so if that's you this article may not be for you and your travel needs. On the other hand, if you like to know what you're doing and where you're going each day of your Disney trip, this may be right up your alley! Without a doubt, I know these plans work and have worked for us in the past, but I say that with a certain level of caution. Don't be that guest that obsesses over their "to-do" list so much that they get to the end of their trip and feel like they never took the time to simply enjoy being there. Disney World Itineraries and touring plans are great sources of information, but if you don't throw the plan aside for a few moments to take it all in and enjoy the simplicity of just being their, you're going to miss out on one of the greatest joys of going to Walt Disney World. I've had the privilege of talking to other guests over the years (even before the site was created) who had returned home from Disney trips and all they could say was how "stressful" the experience was. Immediately, after hearing that, I could pick out what they were going to say next... "It was fun but I don't know if we'll go back." A majority of those same guests went unprepared or vastly over-prepared. Neither one of those options is a good situation in my opinion when you're talking Disney World Planning. If you don't plan at all, with the requirements of the fastpass+ and My Disney Experience system today, you're going to be playing catch-up for a portion of your stay. On the other hand if you over plan and figure out what exact attraction you're going ride for each and every minute of the day, you're probably not going to be happy with the end result either. If you can lock down those decisions, you'll be set for a flexible yet planned Disney World vacation experience. I mention "must-do" attractions because it makes things easier. If each guest in your party picks one attraction or experience they want to do more than anything else for each day of the trip, everyone is happy. For groups of 2-10 guests or so, this works out great. Most days it's possible to check off that "must-do" for each guest and everyone is happy because they accomplished what they wanted to do the most. It's manageable, measurable, and keeps everyone happy while remaining vastly attainable during most lengths of stay. As mentioned above, I consider this the sweet spot for Disney World Itineraries. You're not booking too much, but not booking too little. For example, on our trip that's coming up in a few short weeks, our group only booked two dining reservations, our hotel accommodations, and our park days. We wanted to do a lighter trip with less commitment to plans and simply planned what we were doing from a big picture perspective for each day. Basically all we know is our fastpass+ selections and what day we want to be where. Truthfully, that's less than what the average guest will need. Obviously, we've been doing this for a while and many of you have been as well. As you travel more, and tour the parks more, a returning guest opposed to a first time guest tends to be less worried about trying to do everything. Spoiler alert: It's impossible to see and do everything at Walt Disney World. I've literally been traveling to the parks my entire life and haven't seen and done it all. That realization is what often sets apart returning guests from first time visitors. We know we'll be back, and we know there's no sense in trying to do everything on property. It wont happen, but that's not a deterrent but rather a blessing that there's always something new to return to and explore trip after trip. Don't worry about doing it all, just focus on making the most of the time you have. 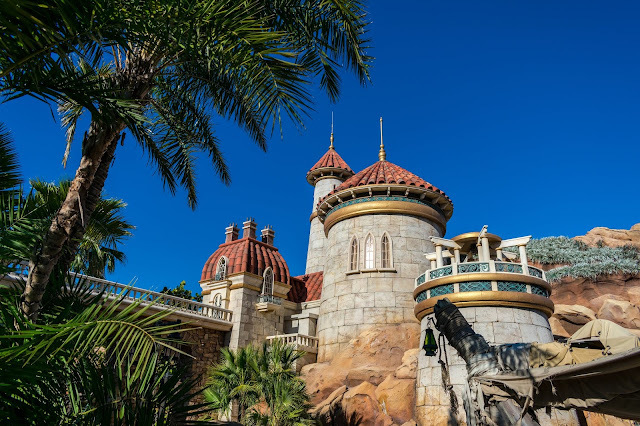 That's what our itineraries tend to focus on, and if that sounds like something you can get behind, here's a closer look at some of our top itineraries for Walt Disney World. A stay at Walt Disney World that is shorter than 4 days can be relatively tough. Inevitably, you will feel a bit rushed. With that being said, our last trip in March of 2018 at the Boardwalk Villas was only 3 and half days in length. If you make the most of it, you can do far more than you could ever imagine. If you want to see every park, it will require a park-hopper, and even with our experience working in your favor you will miss out on a few things along the way. But, a short Disney trip is certainly better than no Disney trip at all so be sure to check this one out if you're looking to make the most of your time in the parks. If you're really short on time or doing other things in the area and only have one day to spend at Walt Disney World, we have a few itineraries for that as well. The one day trip is never an ideal situation, so there's a heavy focus on getting things done and making the most of the entire day in the park for these plans, but they're also great to add into a multi-day itinerary so that you can circle back at the end of your stay to revisit what you may miss along the way. If you're careful and willing to get up early I'm pretty confident these 1-day itineraries will allow you to enjoy the majority of what the park has to offer. Longer stays in the parks can make all the difference in the ability to relax a bit more during a Disney trip. You have a bit more time and that extra aspect of the vacation can afford you the time to step away from the parks and explore without giving up quite as much as you would during a shorter stay. Longer stays put a certain level of freedom into the planning mix that is unmatched by anything except being a local Orlando resident. You can set up a morning in the parks, head back to the pool at lunch, and maybe even go catch another park's fireworks show later that night. You're not confined by the thoughts of losing out on time in the parks or the disappointing thought of missing a favorite attraction because you know you'll have plenty of time to head back on another day later on in your 7 day stay. If you're looking for even more info on the parks and resorts, along with some hidden gem experiences, be sure to check out WDW Magazine! Their print release is coming out soon! Join the wait list. When you really think about it, two things dictate a Disney parks Itinerary, cost and time. It's no secret that Disney trips can be incredibly expensive and just keep getting more expensive year after year. The increased costs do come with an increased level of entertainment, but it would be wrong to avoid the fact of the matter that these are vastly expensive vacations. Disney trips are expensive, but at the same time it doesn't have to be absurdly expensive and that's why we came up with the following itinerary options. The first option, and perhaps the link that I feel is most important out of this entire article is a closer look at how to make Disney work for your situation and your budget. We've been in your shoes. Over the years we've toured the parks on string budgets, and we've toured the parks with large budgets. No matter what, there's always a budget and staying within that budget can make or break your ability to head to Walt Disney World. Ultimately, that's the step that should precede everything in this article. A Disney trip is great and well worth the investment of both your time and money to create memories that really and truly will last a lifetime, but at the same time, no trip is worth risking your financial security. 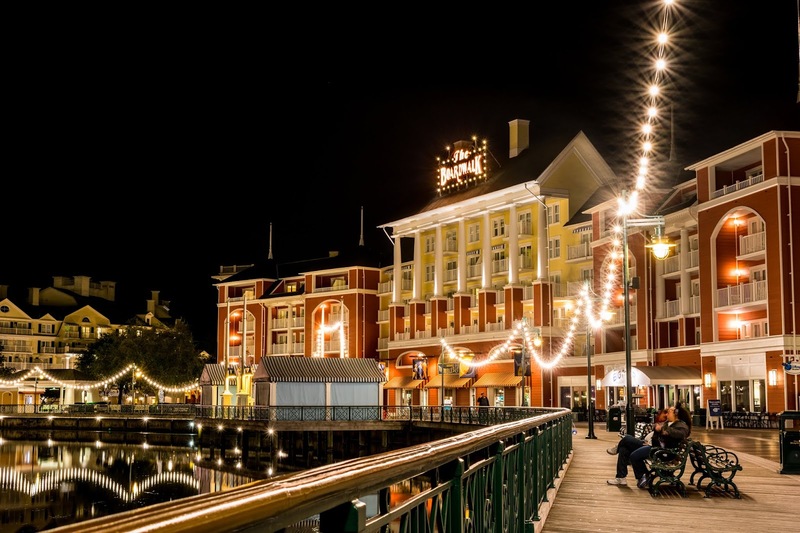 Definitely check out a few ways to cut costs and make your vacation work for your both in that article and on other sites throughout the Disney online community. The second article listed is a way to tour what Disney has to offer without ever stepping foot in a park. I really only recommend this to guests who have been to the parks time after time, but a more relaxing stay at one of Disney's world class resorts can be an incredibly relaxing trip that will rival nearly any other vacation destination. Often times when you cut out the park tickets or even just cut your amount of park days the savings may surprise you and may even allow you to put that money into staying at the resort you've always dreamed of spending a few nights in. Inevitably, I can guarantee that at least one of you is asking this question. Either you're the one planning the trip despite not wanting to go or you're weighing the costs of the experience and requirements of planning against another vacation destination. Ultimately, I'll share one message with those of you who are in this position. Disney is a place that has a bad reputation for being a place for kids or young families. When you tell someone you write about the Disney parks, you typically get two responses. The first is a blank stare and then a comment like, "aren't you too old for that" or something of the sorts. Or you get a second response and that is "We love Disney and have been going for years!" The first response is what keeps me doing what I'm doing today. I know that sounds like quite the opposite of what should happen, but bear with me. I share on this site to help people plan and experience Disney on a deeper level. There's not a doubt in my mind that the "you're too old for that" response is typically from someone who doesn't understand the parks and resorts. Truthfully, that's what I enjoy sharing with them. When you tell those same people that Disney has select world class dining options, impressive nightlife, PGA tour level golf courses, bowling, Broadway-esque caliber shows, and incredible story telling capabilities, they tend to look at you with a different thought process. Many times it's a changed perspective and a newfound desire to tour the Disney property in a different way than the media tends to portray it. That may sound like I hold myself to this ultimate "manipulative authority" or that I'm a Disney public relations drone trying to drum up business, but it's not intended to sound that way (again, I've never worked for or even with Disney directly at this point). I share those things and ultimately these itineraries to share with others something that has been a big portion of my life and that has created memories that will truly last a lifetime. I want everyone to have that same opportunity in some facet. The moments that create these memories may not be the same for everyone, but Disney as a whole is a place that creates opportunities for guests to create their own story and experiences time and time again. It sounds hopelessly corny in writing but it's true and one of those things so many of you reading this understand and have experienced first hand. Why I Think Everyone Should Visit Walt Disney World - How to Make it Happen! Disclosure - This post does contain affiliate links that help us out monetarily when you use our partners over at Destinations to Travel and purchase from WDW Magazine or the Official Ticket Center. We recommend these groups because we know them and have talked to their owners personally who stand behind their products and services.